Diablo is the best rollerski for off-road skating, a new way of rollerskiing, very similar to cross-country skiing, Off-roadskating will help you develop the skills you will need in the winter when you will be doing cross country on real snow. 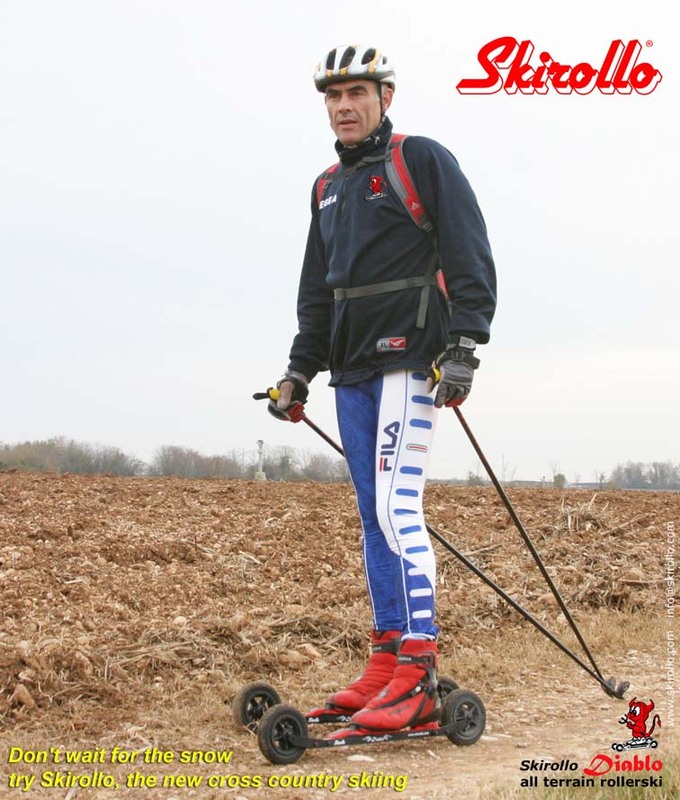 Off-roadskating will allow you to enjoy sport preparation away from traffic. 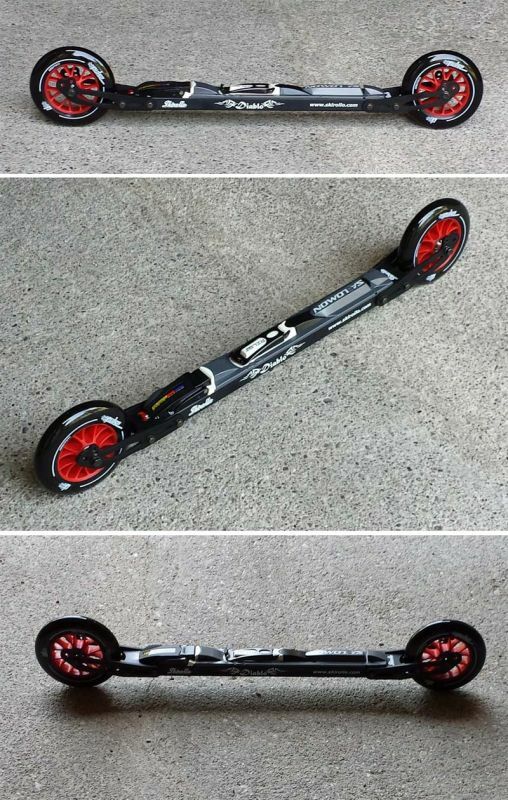 Not just off-road but asphalt skating too thanks to its interchangeable tires wheels, on dirt tracks or PU for faster run on asphalt. 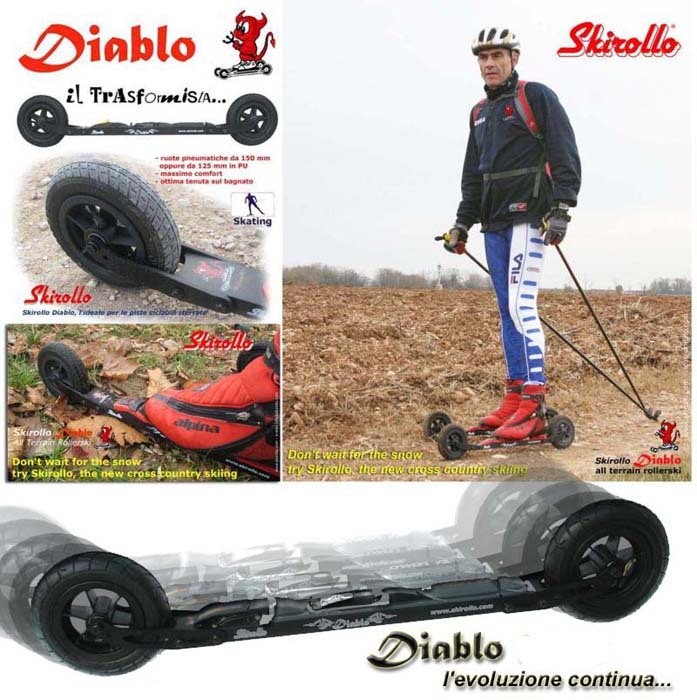 Diablo, standard version, comes with the 150mm tires wheels, perfect on any kind of terrain, excellent grip on wet tarmac. 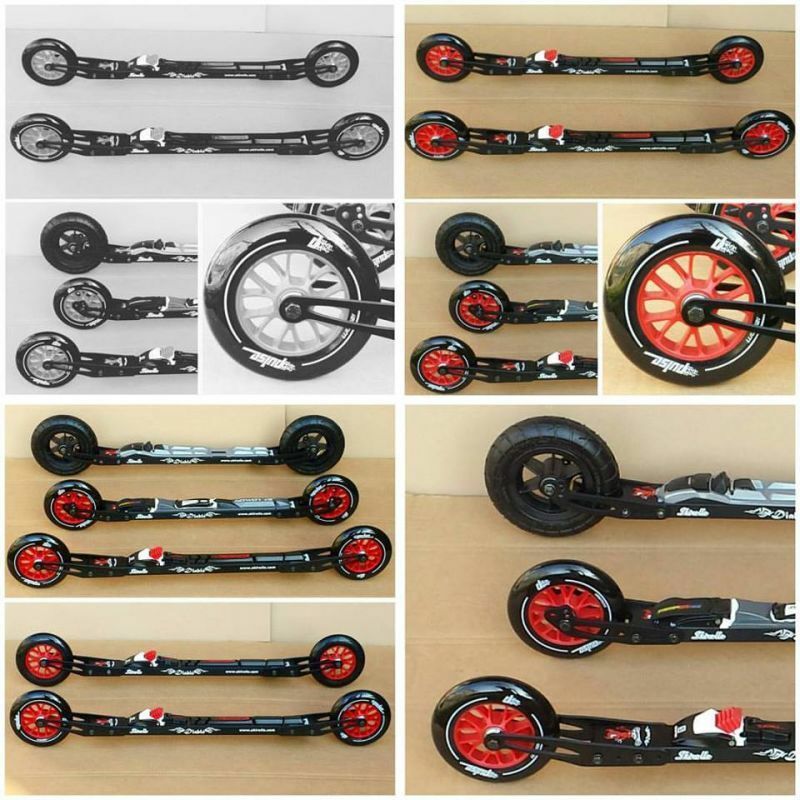 The 125mm poliurethane wheels for paved surface are to be ordered in addition. Al momento dell'ordine indicate il vostro numero di scarpa nel campo NOTE visibile alla conferma dell'ordine. DB6 - allows to inflate wheels with a regular bike pump. 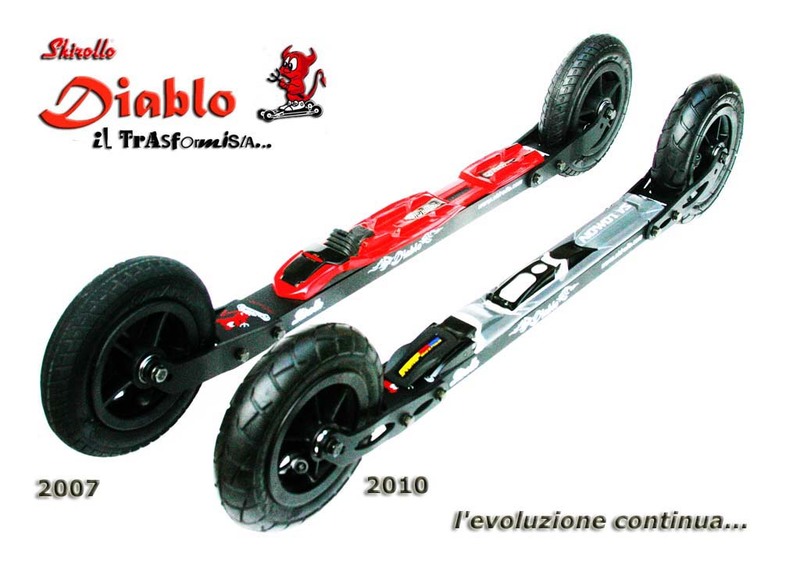 Since June 2008 Diablo comes with the new 6 spokes tires wheels, the ratchet device for classic, and 6.2 atm tires with line tread pattern. The easiest way to take the tire off and put it back on is to spray the contact area between the rim and tire bead with a silycone spray. A 2 years warranty from manufacturing defects is given (tires excluded). 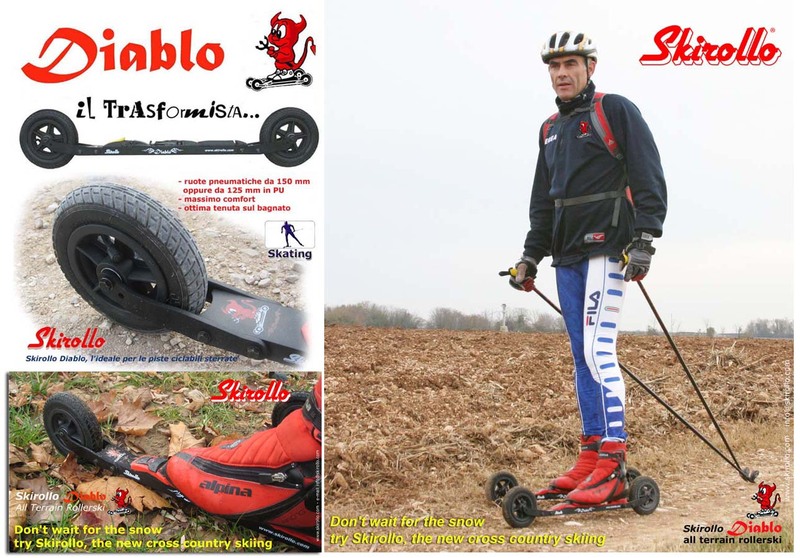 Diablo is different, it has been designed to have fun all year round, not just as a piece of training equipment, with in mind all those people who practise cross country in the winter and then leave their skis on the rack till the following season.. Those people are forced to start from scratch each winter and spend days to get back into the right shape. If you think a snow season last from 3 to 4 months, we want to make the most of it, and be ready right from the first day of snow! 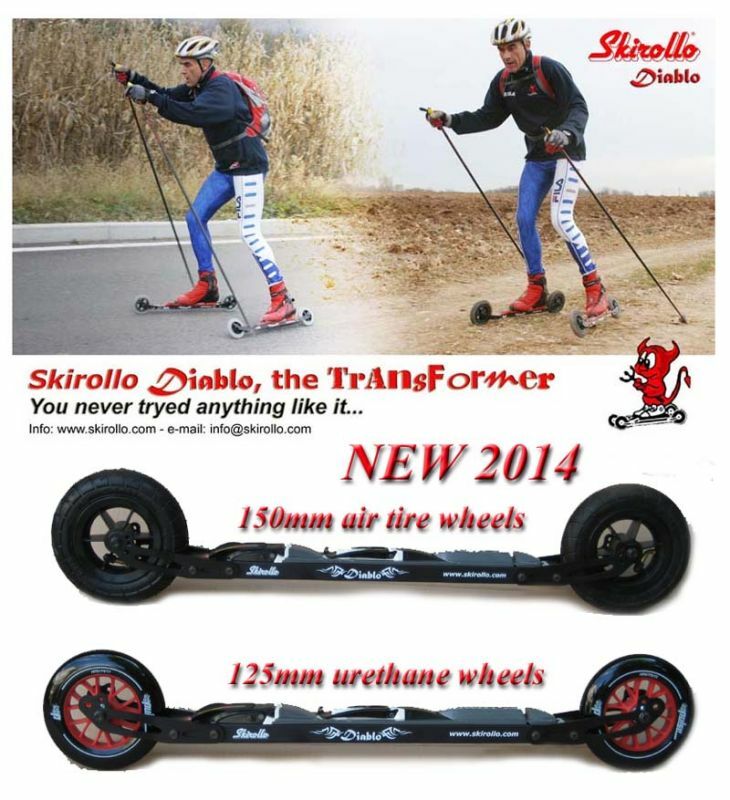 Skirollo Diablo will allow you to skiing all year round, away from paved surface road, improve your tecnique and your training so that when the snow comes you'll in perfect shape. You'll be surprised yourself. 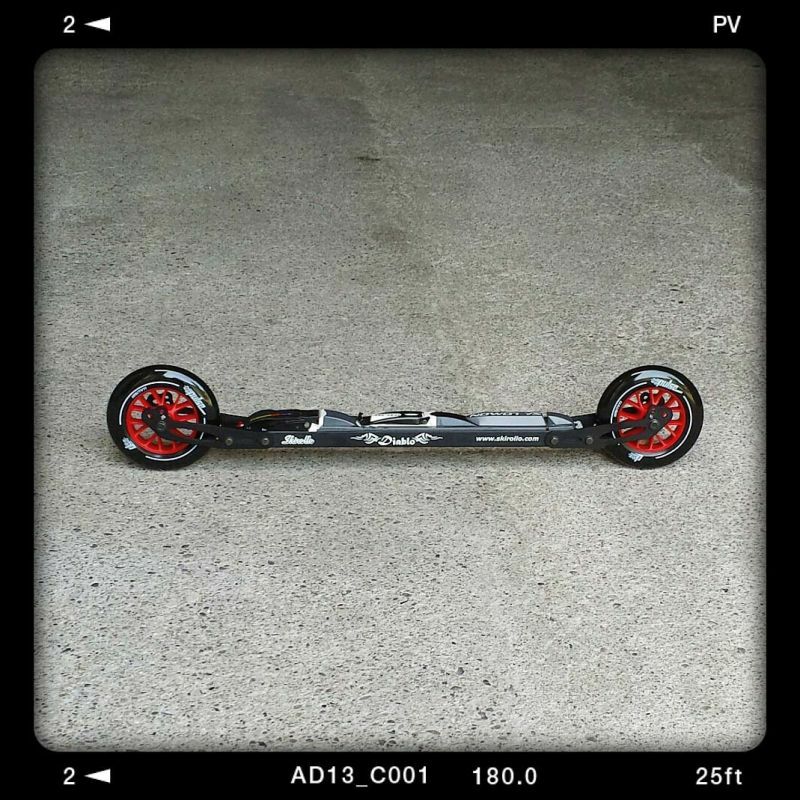 Because rollerskis are short in length, very high stress is directed to the frame, wheels and parts. 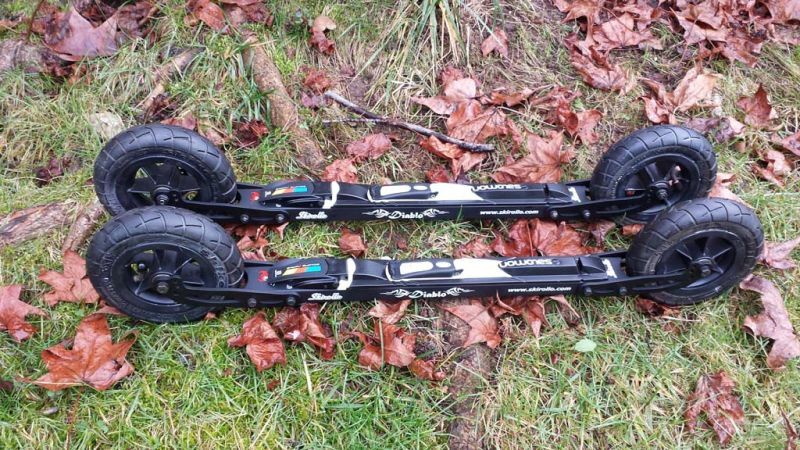 Therefore proper maintenance of your rollerskis is important for your own safety and also for the longevity of your skis. When purchasing rollerskis, be sure to thoroughly read the instructions that accompany the skis. 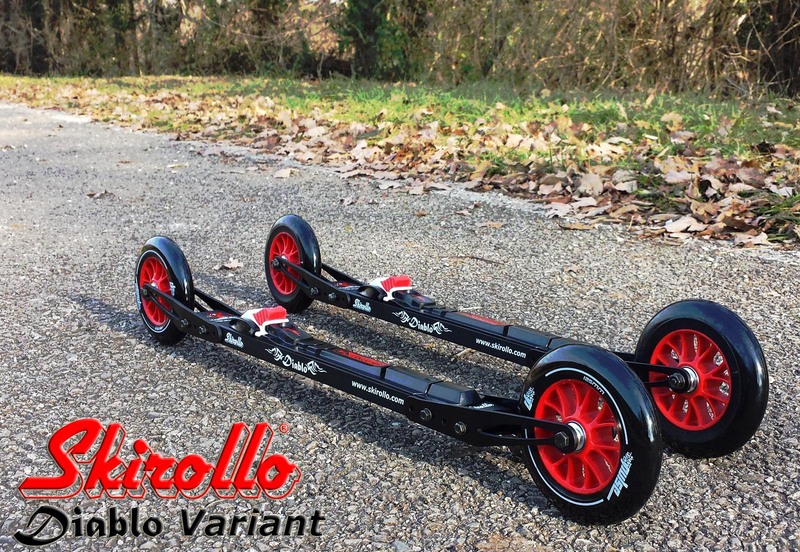 Your new Skirollo wheels and parts are well greased inside. Depending on the use and the conditions, the ratchet, bearings and the axle must be lubricated with low friction water repellent grease at all times. 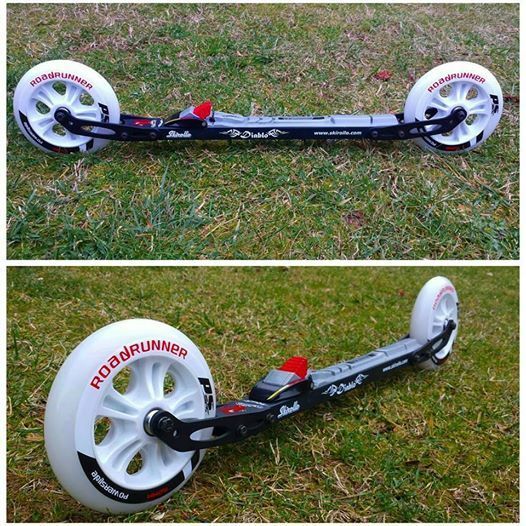 Check the frame and wheels and "feel" the bearings before each outing. When skiing in wet conditions, wipe skis clean and dry and lubricate the wheels properly after skiing. Note that scratching the frame badly from the bottom may cause breakdown and serious accident.